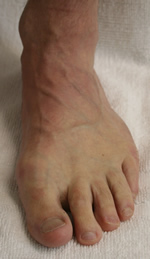 Flat medial longitudinal arch, alternatively called pes planus, flat foot, fallen arch or foot rolling in. 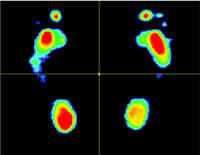 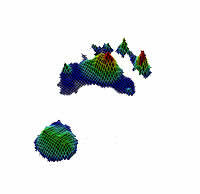 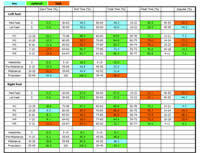 Shows heel inversion suggesting the tibialis posterior muscle is functioning. 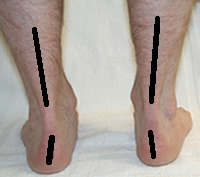 The heel inverts as the tibialis posterior contracts because it is the main invertor of the foot. 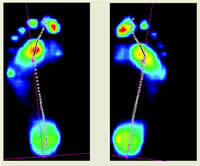 Orthotics (functional insoles to wear inside shoes) provided to control excessive pronation, change walking and standing, deflect pressure and support the foot.